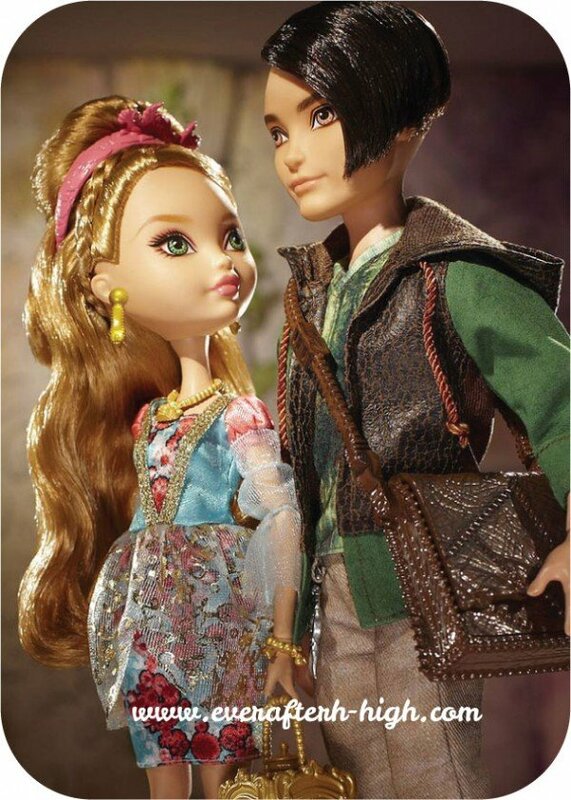 Here is the first Ever After High couple dolls! They are Ashlynn Ella and Hunter Huntsman, that are secretly dating. They are keeping their relationship under wraps…but the reason is currently unknown. You can buy them both for separately or take this pack that come together, there is no difference between their outfit, it’s the same of their basic one. 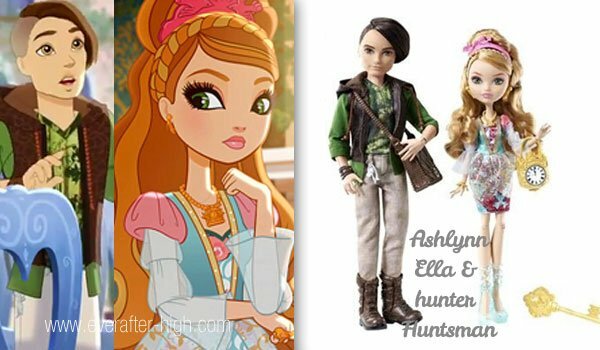 If you want to know more about each one of this dolls, just click on its name: Ashlynn Ella Doll – First Wave & Hunter Huntsman Doll – Firtst Wave. 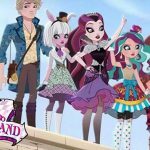 Is the Huntsmen and Ashlynn Ella in love? Why isn’t there a rapunzel’s daughter? MH and EAH are missing a lot of traditional characters.. I wish they could do a contest where we could make those original “left out” characters! There are a Rapunzel daughter!And Ashlynn is my Favorite,too!! I have both of them I just got it yesterday at walmart they are so cute and her shoes are gorgeous!!!! I got this set for Ashlynn. And I named her Ashley and Hunter Gale. I absolutely LOVE these dolls! I am buying them at target on wednesday!! I am starting to collect every single ever after high doll. They are the ONLY things on my list! I can’t wait to buy her!! I already have an idea for my next short video clip! It will be AMAZING! 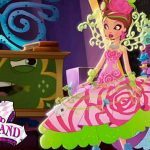 The next dolls that I AM getting are The O’hir sisters, Holly and Poppy! It will go perfect with my rapunzel doll!